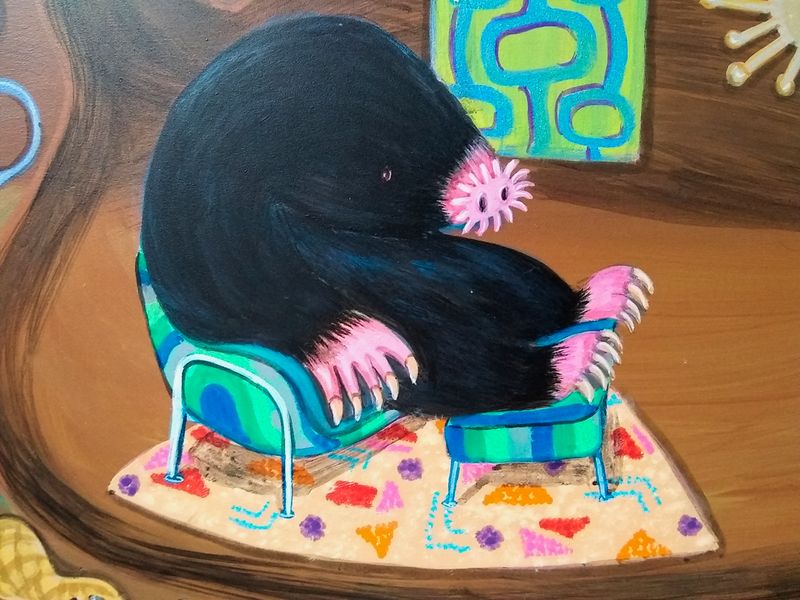 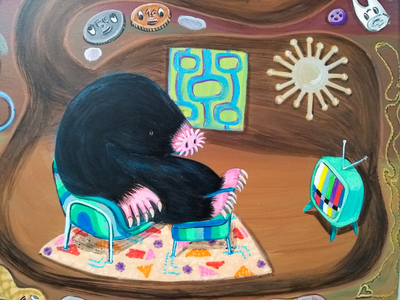 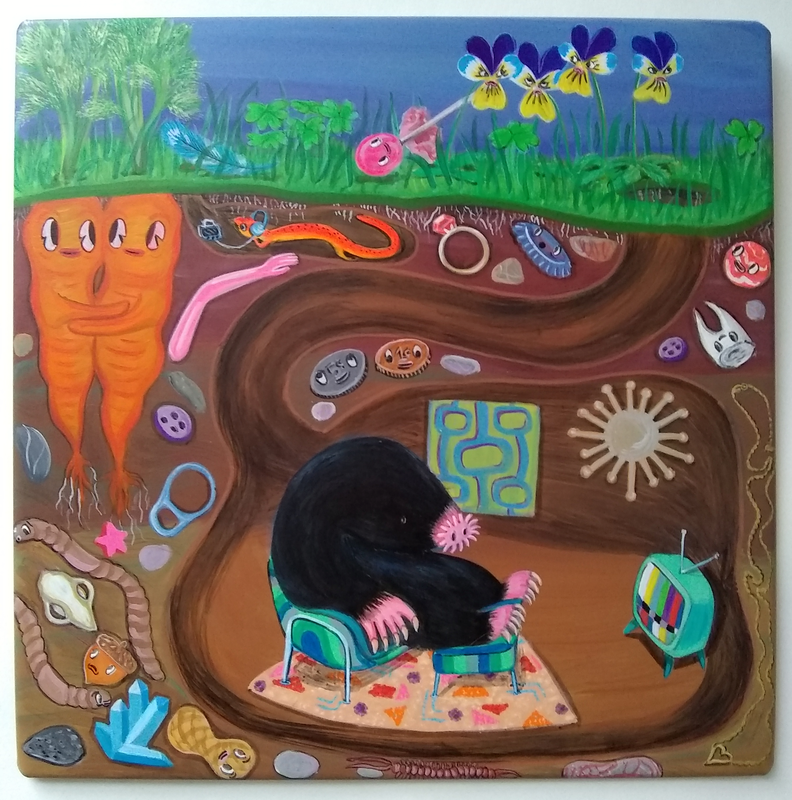 The detailed cross-section shows a very "hep" star-nosed mole relaxing in their Mid-Century Modern style den. But the poor little mole has such terrible eyesight, I guess they don't realize their television is only showing a test pattern. 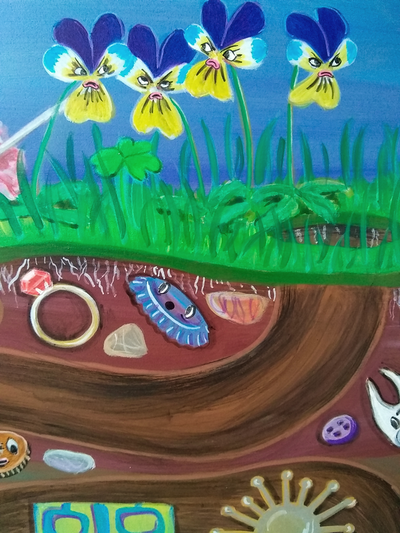 A special view under the grass shows a number of items lost and hidden in the soil: crystals, a tooth, a forgotten ruby ring, and so much more. 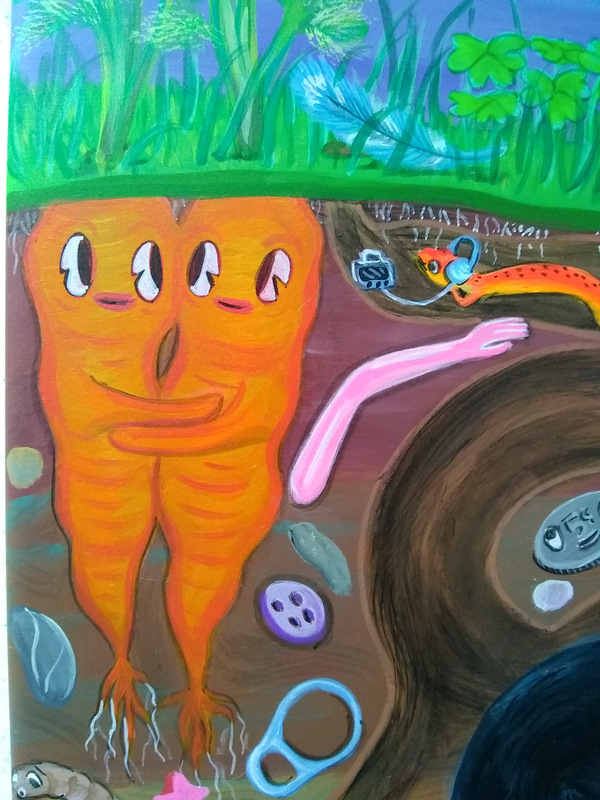 A little salamander listens to their favorite tapes, and two carrots are oblivious to everyone except each other. 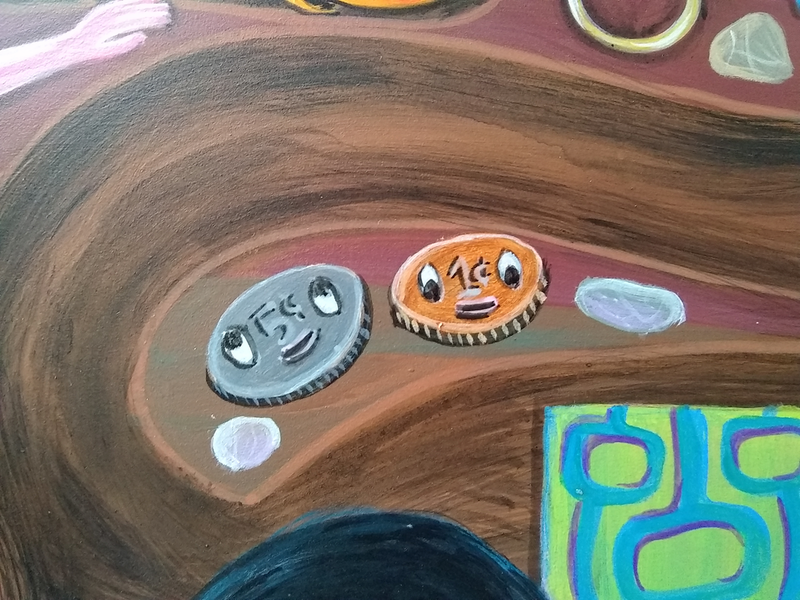 Above the soil a discarded lollipop smiles at their circumstances, while a surly group of Johnny-jump-ups are fed up with each other. This charming piece is entirely hand painted on reclaimed 20 gauge aluminum. 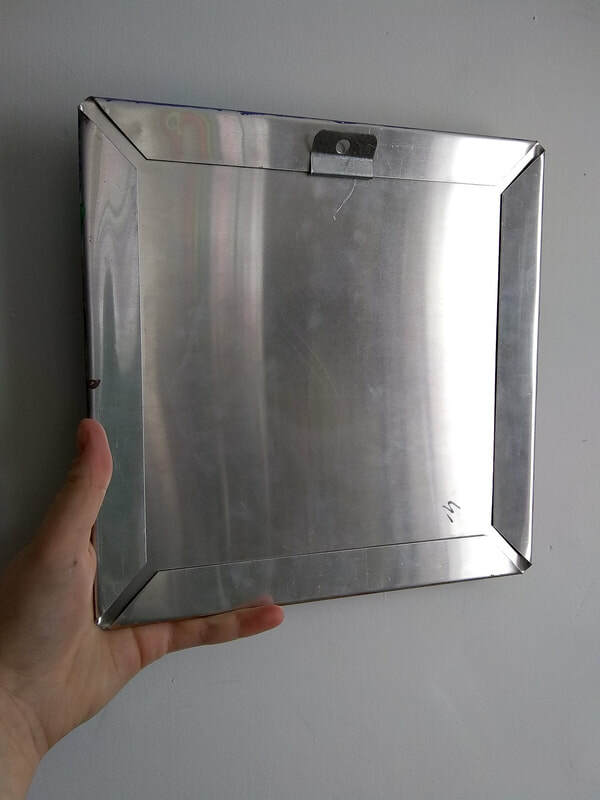 The edges are hand hemmed, and the back comes with a custom hanging clip made from galvanized steel. Piece is ready to hang. 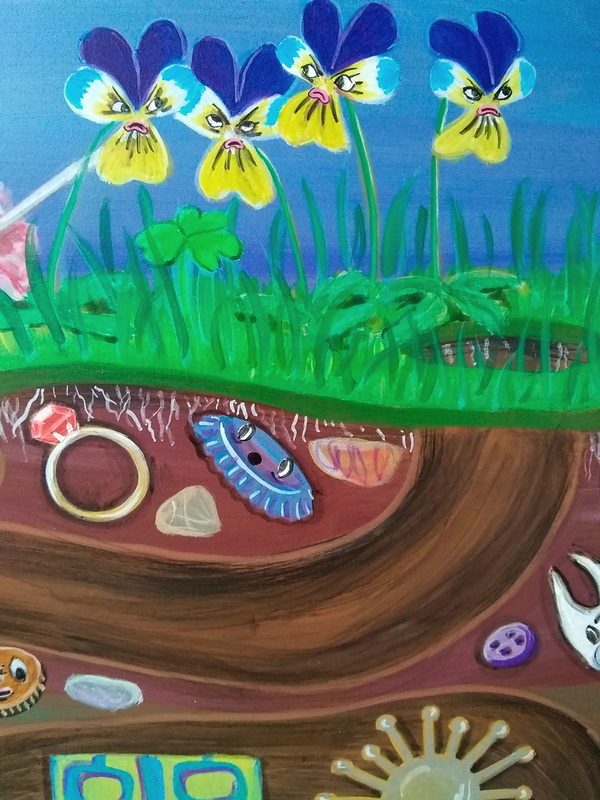 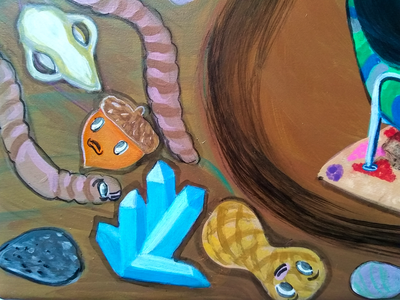 The artwork in Mole's den has metallic paint accents, as does the golden heart necklace lost under the soil. 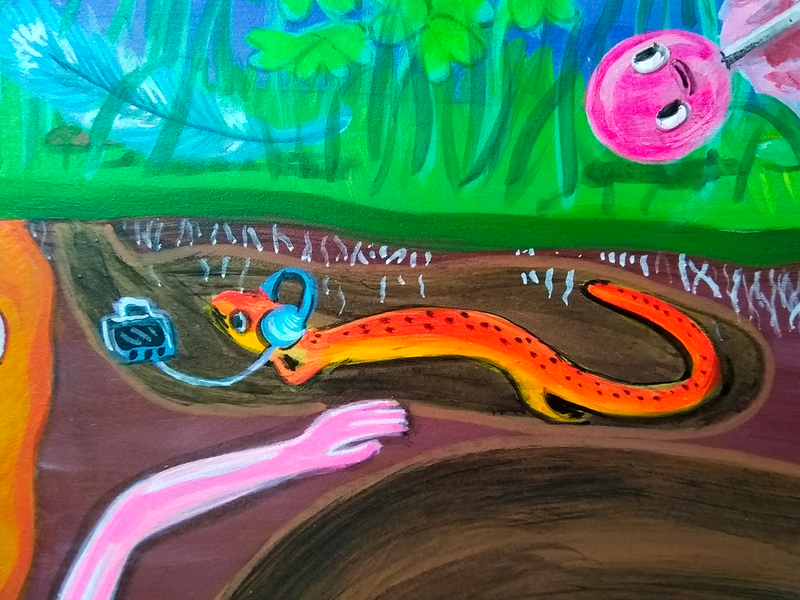 The salamander has neon paint details.